Even if the Court approves the permanency plan of Kinship Legal Guardianship (“KLG”) for your child during a permanency hearing, there will be another Final KLG Hearing during which the Court must find by clear and convincing evidence that KLG is appropriate. That is, after the Court approves the permanency plan of KLG during a permanency hearing, DCP&P will then be required to amend its complaint to seek KLG at another hearing and then provide the parent with notice of that hearing. In other words, the Court cannot automatically enter a judgment of KLG but rather provide the parent with an opportunity to challenge the Division’s case. You are entitled to be present during a Final KLG Hearing and you have the right to be represented by a DCP&P defense attorney during the Final KLG Hearing to challenge DCP&P’s case. Contact the DCPP defense lawyers at the Tormey Law Firm for immediate assistance at (908)-356-6900. Our seasoned trial lawyers know how the system works and how to best protect your rights in these cases. If you or a loved one has an issue with child protective services in Sussex County including in Andover, Byram, Hackettstown, or Phillipsburg, don’t wait. Contact the Tormey Law Firm today for a free initial consultation at (908)-356-6900. In order for the Court to conduct a Final KLG hearing, the child must have been residing with be with the potential KLG caregiver for the past twelve consecutive months or for fifteen of the past twenty-two months. In addition, the Court will consider among other things, proper notice to parents, the child’s best interests, the caregiver’s ability to provide safe and permanent home for the child, the parent’s wishes, the wishes of the child if the child is twelve or older and the suitability and ability of caregiver. As with all DCP&P cases, each case is fact-sensitive and the Division will present documents and witnesses to support its request for KLG. But, you are entitled to be present and to contest the Division’s case. 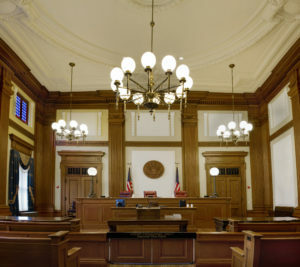 New Jersey Statute 3B:12A-6 sets forth four requirements that must be satisfied by clear and convincing evidence during a Final KLG Hearing in order for the Court to grant a petition for Kinship Legal Guardianship. The first is parental incapacity. In other words, the Court must find that the parents are unable, unavailable or unwilling to perform the regular and expected functions of care and support for the child. According to N.J.S.A. 9:3-46 and the New Jersey Supreme Court, regular and expected parental functions include the maintenance of a relationship with the child such that the child perceives the person as a parent, communicating with the child, and providing financial support for the child. In re Adoption of Children by G.P.B., 161 N.J. 396 (1999). The second KLG requirement is that the parent’s inability to perform those functions is unlikely to change in the foreseeable future. In assessing this element, the Court may consider the parent’s past behavior as a predictor of future conduct, the parent’s current compliance with Division services, and the parent’s visitation or lack thereof with the child. N.J. Div. of Youth and Family Servs. v. S.F., 392 N.J. Super. 201 (App. Div. 2007). The third element is twofold: the Court must find that DCP&P exercised reasonable efforts to reunify the child with the birth parents and these reunification efforts have proven unsuccessful or unnecessary; and that adoption of the child is neither feasible nor likely. In other words, DCP&P cannot turn a blind eye to the biological parents but rather must attempt to provide services and assistance to address the issues that led to removal of the child in the first place. As to the second component, the feasibility of adoption essentially hinges on the caretaker’s intentions. That is, if the caretaker is not willing to adopt, then adoption is neither feasible nor likely. However, if the caretaker is willing to adopt, then KLG is not possible as a matter of law. N.J. Div. of Youth and Family Servs. v. H.R., 431 N.J. Super. 212 (App. Div. 2013). Finally, the Court must find that awarding KLG is in the child’s best interests. This is a catch-all requirement and, more or less, the Courts must consider the day-to-day impact that KLG will have on the child’s life. The Courts may consider many factors including, but not limited to the quality of the parent-child relationship, the child’s wishes, the future anticipated parent-child relationship, and the preservation of sibling relationships. Although KLG is not “as permanent” as termination of parental rights, there are still a number of real life effects that KLG can have on your family. If you are scheduled to attend at Final KLG Hearing for your child and you have not already consulted with a DCP&P lawyer, you should contact a DCP&P defense attorney who is familiar with the KLG statutes and case law.